Consumer and Anti-Trust Class Action Filed Against Pet Food Manufacturers and Sellers for Misrepresentation and Illegal Collusion - Ward and Smith, P.A. Purina "Pro Plan Veterinary Diets"
The defendant pet food manufacturers in the case are Mars Petcare US, Inc. ("Mars"), which sells prescription pet food under the brand names Royal Canin and Iams; Nestle Purina Petcare, Co. ("Purina"); and Hill's Pet Nutrition Inc. ("Hill’s"). 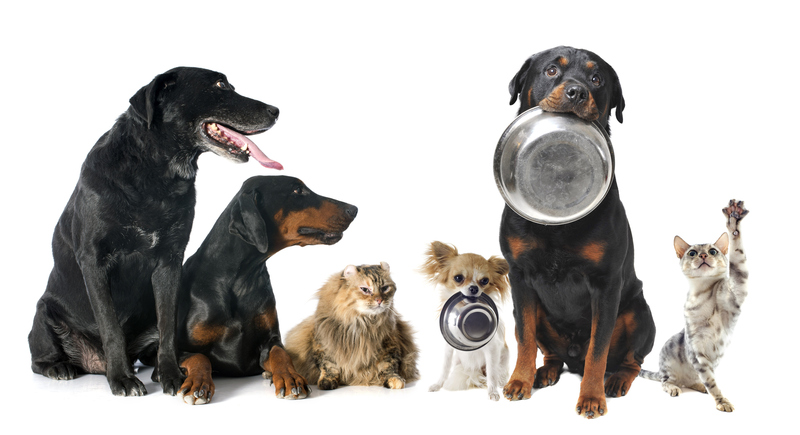 Prescription pet food is dog and cat food that is sold to the consumer with a prescription from a veterinarian. However, the prescription requirement comes from the manufacturers and sellers and is not mandated by federal – or any other -- law. There is no legal mandate for a prescription from the FDA or any other government agency. Furthermore, there is no significant difference between pet food sold by prescription and regular pet food sold without a prescription – other than a significant price differential. There are no drugs or medicines in prescription pet food, and the FDA has made no assessments of these products. Additional defendants include: PetSmart, Inc. ("PetSmart"), Medical Management International, Inc. ("Banfield Pet Hospital") and BluePearl Vet, LLC ("BluePearl Vet Hospital"). PetSmart is a major retail seller of prescription pet foods. Banfield Pet Hospital is the largest chain of veterinary clinics in the United States, and typically operates out of PetSmart. BluePearl Vet Hospital is the largest chain of veterinary emergency care clinics in the United States. Pet food manufacturer Mars has a majority ownership stake in Banfield Pet Hospital and wholly owns BluePearl Vet Hospital. Counsel for the class members assert that pet food manufacturers, and their affiliates, have deceptively marketed this pet food as requiring a prescription, and have colluded to create a market for prescription pet food and to sell this food at prices higher than the prices of regular pet food. If you have purchased any of these prescription pet foods over the past three years, you could be part of this class action lawsuit to recover the money you overpaid, along with additional damages. If you have any information about this practice or these pet foods, we are continuing our investigation and would be interested in speaking with you. Please call 844.321.9425. If you have purchased prescription pet foods over the past three years, you could be part of this class action lawsuit to recover the money you overpaid, along with additional damages. If you have any information about this practice or these pet foods, we are continuing our investigation and would be interested in speaking with you.